The Palestinian Authority (PA) decision to seek the recognition of a Palestinian State at the UN on 23rd September 2011 has been the subject of heated debate for months. The Israeli and United States administrations have condemned the decision in unison; threatening to withdraw financial aid from the Authority should the UN vote go ahead. Arguably, the success of Palestinian statehood is supposed to bring about what countless UN resolutions ignored by Israel, and vetoed by the US, have failed to do for decades. In reality, however, the PA’s call for the recognition of the internationally agreed upon two-state solution has been met by Israel and the US with rejection and thinly veiled threats disguised as a demand for the resumption of the clearly defunct “negotiations”. Sebastião Martins provides an apt critique of the underlying ideological contradictions in the US opposition to Palestinian self-determination in his excellent analysis of the accusation of the Palestinians’ “bad peace”. It is clear that Israel has no interest in a Palestinian state. As early as August 2011, reports emerged that the Israeli Army were equipping settlers in the Occupied Territories with weapons in preparation for Palestinian independence protests. There are warnings that Israel is preparing for war and that even peaceful Palestinian marches after September are going to be treated as provocation by the IDF. However, perhaps more surprising to some, sectors of the Palestinian diaspora have also come out against the statehood proposal. Some have argued that the declaration of a Palestinian state in the Occupied Territories will disenfranchise the refugees. Currently, the Palestinian diaspora, largely formed by the refugees expelled by Israeli forces in 1948, represents the majority of Palestinians under the auspice (at least in theory) of the Palestine Liberation Organisation (PLO). 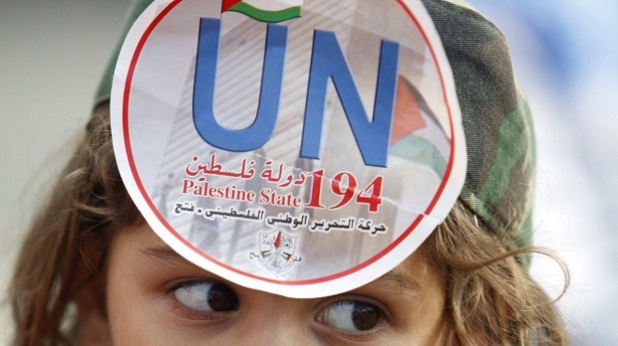 Palestinian civil society scepticism towards the statehood bid relates to three key concerns. How would an official Palestinian state bring the Israeli occupation to an end by making it any less illegal than it already is in the eyes of the vast majority of the international community, except for Israel and the USA? What difference would statehood make to Israeli settlements consolidation and expansion in the West Bank, the annexation of East Jerusalem, or the blockade of Gaza? And, finally, could the declaration of a Palestinian state in fact harm the Palestinian refugees’ right of return, as enshrined in article 13 of the Universal Declaration of Human Rights and affirmed by UN Resolution 194? Disputes about the right of return in the eventuality of a statehood declaration allude to an incoherent political strategy which fails to adequately take into account and represent the wishes and needs of the Palestinian people. The status of the Palestinian refugees in particular has been the most hotly contested issue on which the PA has been pressed[J3] by diaspora and refugee representatives, forcing a concession that the refugees will remain represented by the PLO and will not be granted citizenship in the new Palestinian state even if they reside within its territory. However, while the above Palestinian Authority proposal aims to reaffirm a commitment to the refugees’ representation; it fails to acknowledge that the right of return is non-negotiable, whether that is by the PA or the PLO. Eitan Bronstein, an activist from Zochrot, an Israeli NGO which works to raise awareness of the Nakba in Israel, and which has recently began planning the Palestinian refugees’ return, said: “People are confused about the right of return and seem to think that it can be implemented anywhere [for example, in a Palestinian state in the West Bank]. The refugees keep on reminding us that no one, not even Palestinian representatives, can relinquish their right. It is each individual refugee’s right to return to their home in ’48 [Israel]”. Furthermore, the PA proposal to exclude all refugees, including those residing in the Occupied Territories, from citizenship in a newly established Palestinian state brings into question the anticipated benefits of statehood. Given that three-quarters of Gazans, and under half of the population living in the West Bank are registered with UNRWA as refugees, excluding them from citizenship will not necessarily alleviate the dire economic and social situation in which they find themselves, largely because of decades of exclusion from formal residency rights. The Palestinian struggle appears torn between an independence call in the Occupied Territories and an as yet unarticulated alternative that will address the Occupation, as well as the right of return. The debacle of the US sanctioned “peace process” has left Palestinians with few options. For the vast majority of Palestinians, statehood under occupation is not an effective response to the myriad forms of discrimination and oppression they face on a daily basis. A demand for Palestinian civil rights, supported by the international call for Boycott, Divestment and Sanctions represents a far better alternative which will also serve to safeguard the citizenship rights of Palestinian Israelis and ensure that the right-wing Zionist dream to forcibly transfer them to a Palestinian state in the West Bank does not come true. The end of the “peace process” is merely the beginning of a new chapter in the Palestinian struggle for human dignity. Awareness of the bloody mindedness and brutal determination of the opposition to Palestinian self-determination is only the first step to mounting an effective strategy for action in the coming months. For even if Palestine emerges on the map as an officially recognized state, it will still be a militarily occupied and colonised nation. Moreover, the Palestine of the 4.5 million refugees in the diaspora does not fall within the borders of the West Bank or Gaza; and therefore the right of return remains an issue that Israel needs to acknowledge and engage with. The right of return and the self-defined Jewish state’s ethnocratic character need to be addressed whether or not the Palestinian Authority’s application for UN membership succeeds this fall.